As the picture states, the cast and crew braved 55 days straight of shooting in Ireland. Whatever this battle scene is, it sounds very epic and we definitely cannot wait for this to air. 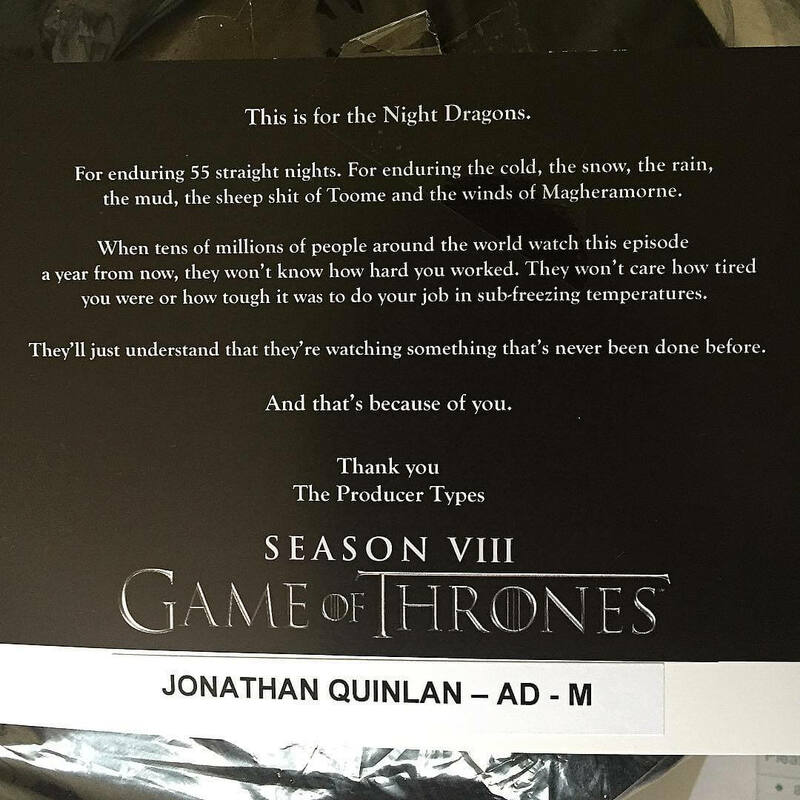 Knowing that the remaining 6 episodes will have runtimes as similar to feature films, season 8 will be an epic end to Game of Thrones.